Landscaping Services Saginaw, Michigan - Ed Heinz Nursery & Landscaping Inc.
How can our design service work for you? The first meeting is with a designer and will be held at the site to review the property, discuss budget, and your hopes and expectations for the landscape (approximately 1 hour). There will be no charge for this consultation. After the initial consultation, the designer will meet with you to present your print or digital computer design. The design will be reviewed with you along with itemized costs for materials. The designer will work with you throughout the project to ensure your satisfaction. If you would like to meet with our designer, please call at the above number and ask to sign up for our service, or contact us. All plant materials are guaranteed 100% for one full year. We provide you with material and expertise for you lawn. Whether we’re creating your new lawn or renovating your existing lawn. We start with the tractor, bobcat, and pre-seeder. 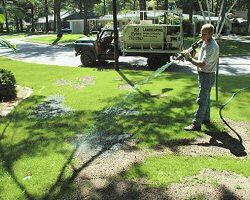 This is followed by your choice of an irrigation system, sod or hydro-seeding. Your lawn maintained by a professional is an investment in your home that adds value, when installed and maintain correctly. Today, the company consists of a year around services consisting of design, installation and maintenance. 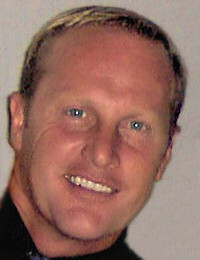 Our crew is trained to handle each property in a professional manner each week. The company services, many commercial, professional and residential clients throughout the Tri-city area delivering all necessary landscaping care for the year. Let me take you through the three seasons. Let us start with spring clean-up, which involves power raking, cleaning out beds, edging walks, drive ways and vacuum cut lawn. Then the summer trimming of the evergreens and shrubs. In the fall comes leaf clean up of all beds and lawn areas. 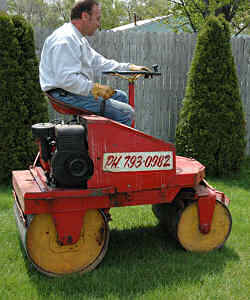 And lets not forget the vacuum cutting, lawn each week, and edging of the walks. Providing your lawn with with a complete lawn care essential summer program.